Bye bye Blackberry, HELLO Droid X! So I’ve tried about every smartphone OS in the last couple of years, Moto Q, iPhone, Nokia E71, and the Blackberry Tour… You could say I’m well versed in the mobile OS dept. I can’t believe I’m saying this, but up until the Droid X, I actually like the Crackberry, I’d probably still be using it if Android devices were what they were a year ago. Droid has come a long way and the first device that got my attention first was the Verizon Motorola Droid, I definitely saw some promising features and Droid was growing up. I knew there were more phones on the horizon, HTC Incredible and Evo (Sprint), Motorola Droid X, Motorola Droid 2, and Samsung Galaxy. 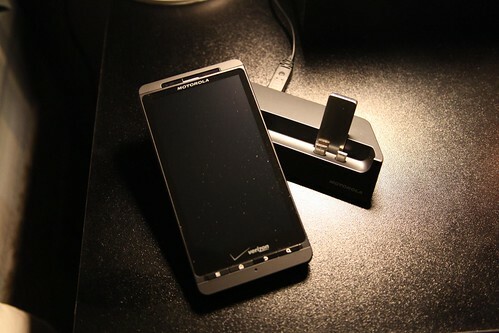 Well yesterday was the day and I received my Verizon Motorola Droid X and must say I’m EXTREMELY happy with this phone. By far the BEST phone I’ve had to date! All you iPhone lovers need to think twice now, cause all the new Droid phones coming out are going to make a change in the smart phone world. I already have 8 friends that have converted and they all love their Droid’s. – Awesome Network, YAY Verizon! Anyways, I do love my new phone, click on the image below for a bunch of pics I took of it! If you’re in the market for a new phone, I highly recommend the Droid X or any Droid phone, even if you’re on the horrible network that ATT has. Previous Previous post: Sucky wrist nerve exam!